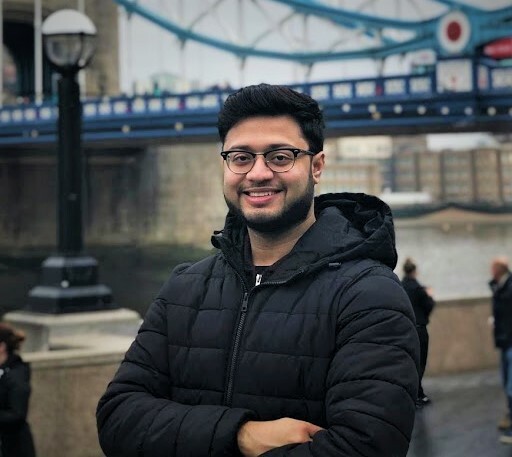 Rohit is an Electronics and Communications Engineering Graduate, with experience in working on the domain of Internet of Things (IoT) devices, including “smart” home appliances, health Trackers, environmental monitors and Transport Data Loggers (such as TDL- Bosch GmBh, Germany). His focus is to employ a variety of deep learning techniques, ranging from data analysis and machine learning to human-computer interaction methods such as Neural Networks and Artificial Intelligence based modelling. His current PhD project is titled as “Low-Cost Internet of Things based Sensor Networks for Air Quality” under the supervision of Professor Martin Mayfield. The World Health Organisation (WHO) estimated that air pollution in 2012 was responsible for 1 in 8 of the total number of deaths worldwide. This project is a significant development to successfully steer on the impact on SDG’s goal of #3, #11 and #13 related to good health and well-being, developing sustainable cities/communities and climate actions respectively. This project aims to develop models and techniques that will afford significantly improved monitoring and communication of the pollution level in cities without the need to significantly invest in monitoring equipment. It will explore how NO2 relate to PM10/2.5 and how can other indicators in cities be used to evaluate air quality. This would afford to redirect people to areas with a reduced concentration of pollution and afford the passengers to select their best routes. Additionally, it explores how High-quality data such as from AURN – DEFRA data sets can support the development of models and techniques that will afford considerably improved near real-time monitoring and communication of the pollution level in cities without the need to significantly invest in monitoring equipment. The project will test the model in Sheffield, working with local electronics company Pimoroni to develop the analytical equipment, and then test the low-cost IoT network in a city in a developing country (Kampala) through contacts held by the supervisors. The Urban Flows Observatory will be used to support this project. The DEFRA high quality fixed sensors combined with high-quality mobile sensing vehicle and Sentinel-5P Satellite data focus on the measurement of reactive gas pollutants NO2, CO, and SO2, along with PM2.5 & PM10 under prevailing meteorological conditions. These will be used to calibrate and validate the sampled data from a network of the Internet of things(IoT) based Low-Cost sensors (LCSs) for NO2, CO, SO2 and fine particulate matter concentration continuously tracked through a connected app installed on mobile phones. This will allow the assessment of how the DEFRA data sets can be integrated and utilised with the LCS network to assess gas and particulate readings in the city. The project will comprise but not limited to i) design, development and construction of a pollution analysis instrument ii) data analysis and visualization, iii) development and validation of statistical models and algorithms for detection and estimation and short term prediction of air pollution concentration and the inference of particulate levels, iv) energy efficiency of the proposed approaches, iv) integration in a decision making system. Unlike previous models which encode only data related to spatial locations, the project goes beyond the current state of the art and has novelty in the development and validation of statistical models and deep learning algorithms to capture the spatiotemporal dependency for detection, estimation and multistep short-term prediction of air pollution concentration and the inference of particulate levels. In this project, we will identify and incorporate other types of data provided by “social sensors”, e.g. people equipped with mobile wearable sensors such as Flow sensors from Plume labs. The project will develop methods both for people-centric and environment-centric applications. The sensor node can be on a mobile app, such as a cell phone but can also be on a vehicle platform. The research will focus on the development of the workflow to integrate DAFNI with live DEFRA and IoT sensor data novel algorithms in the context of three particular drivers. The research will explore the development of scalable approaches for big data management. Compressed sensing methods will be adopted that allow for sampling and retaining only the most informative data. Currently, Rohit is working with a Paris based company Plume labs on use of mobile sensors and with Insplorion – a Swedish startup to understand how to use Nano-Plasmonic sensing to measure NOx Gases. Furthermore, furthermore, on the pipeline are working on citizen-science based sensing by organising workshops to build their low-cost monitors and using the mobile trackers on school-run to assess how much a child is exposed to pollutants in Sheffield. The hope is that the awareness will help bring a paradigm shift in policy making and reducing pollution overall.